Challenges among the Districts that will keep you breathless till the very last, in an enthralling escalation of strength, precision and bravery. 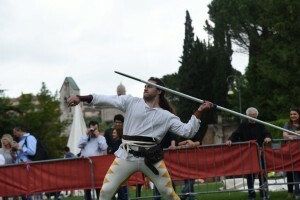 The javelin Toss, wrongly called “lancio” (Throw), is completely different from the modern idea of the Olympic game with the same name, exclusively centred in muscular strength and run-up. 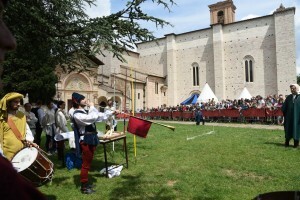 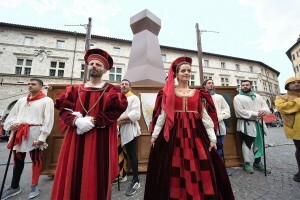 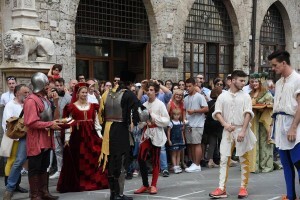 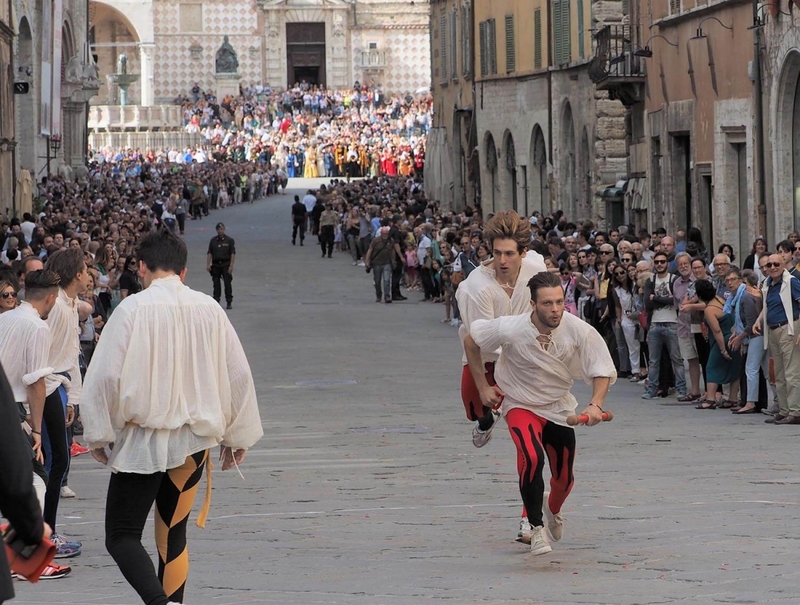 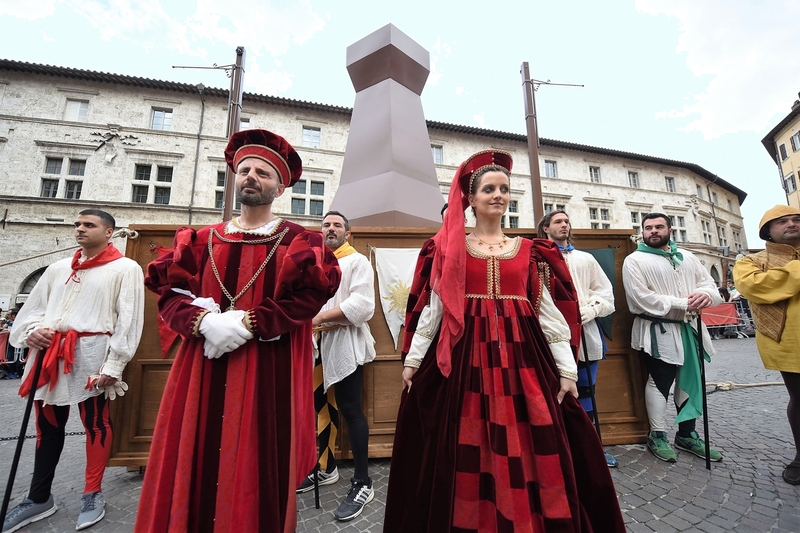 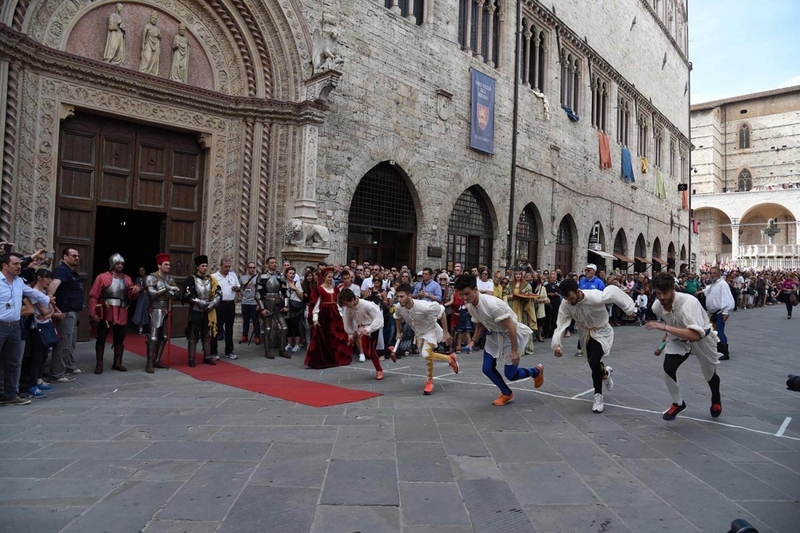 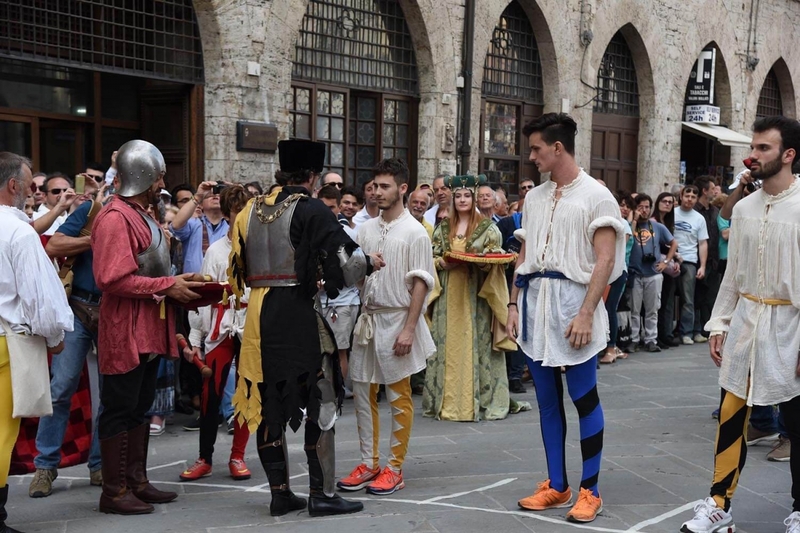 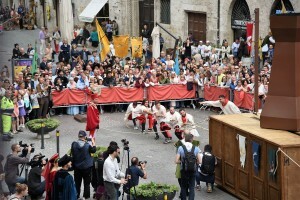 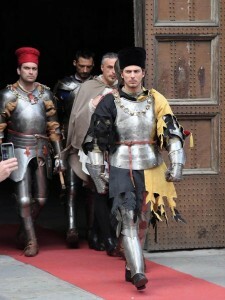 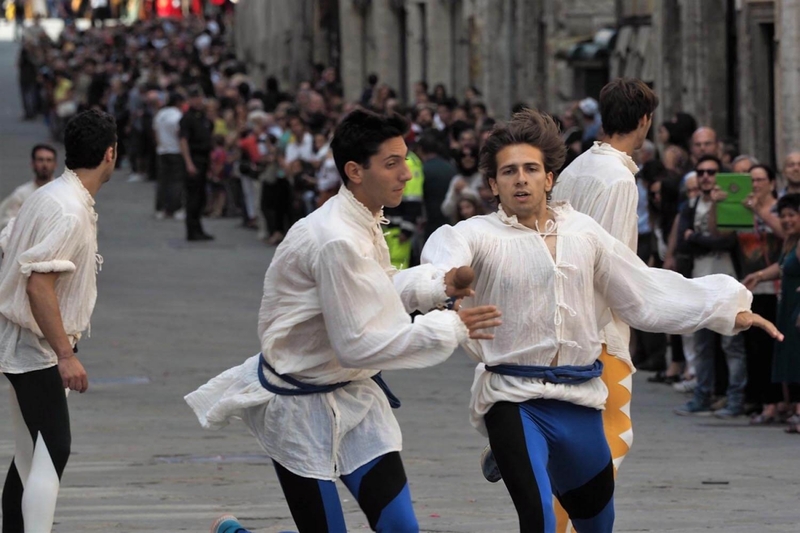 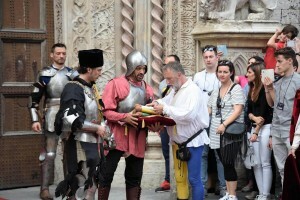 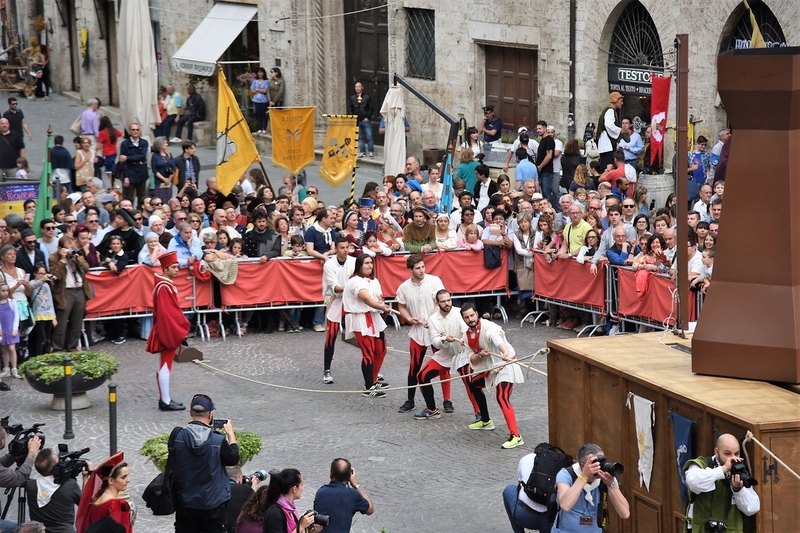 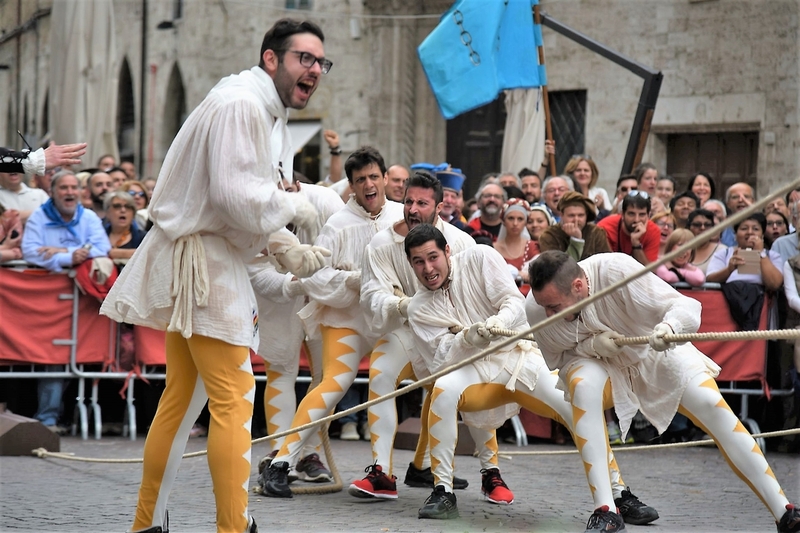 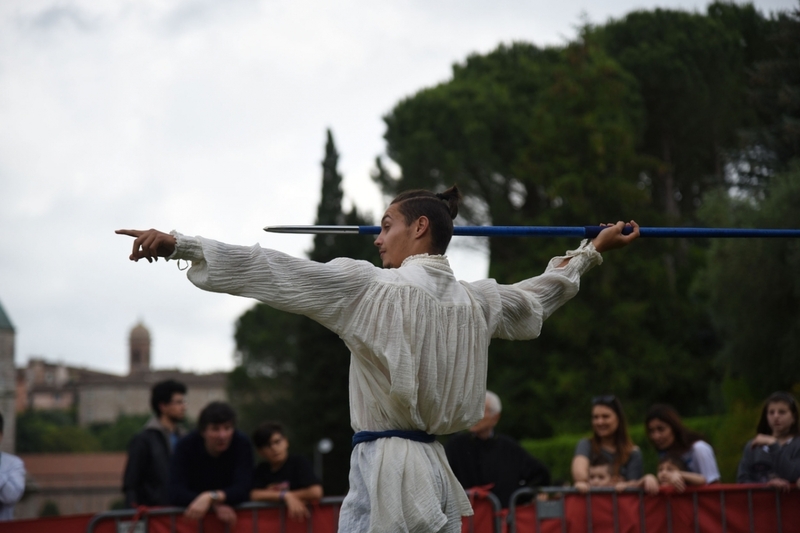 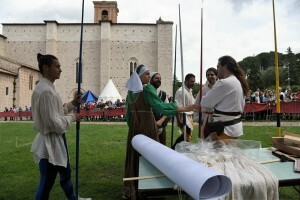 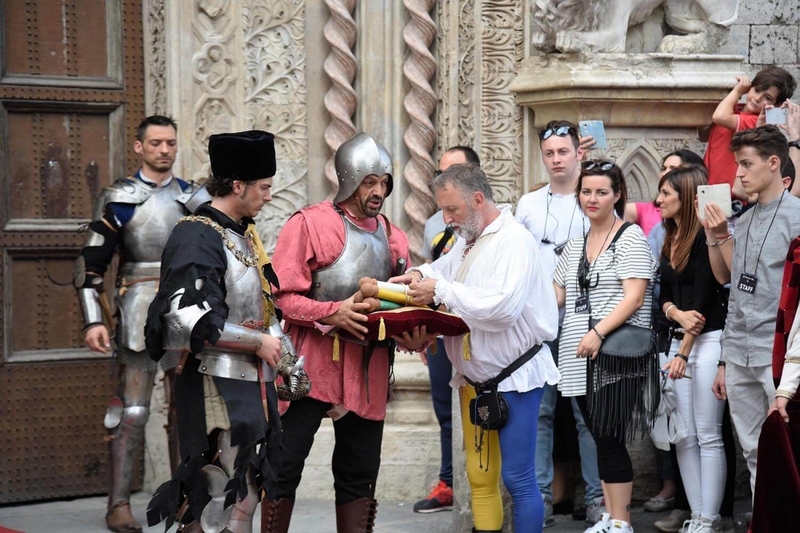 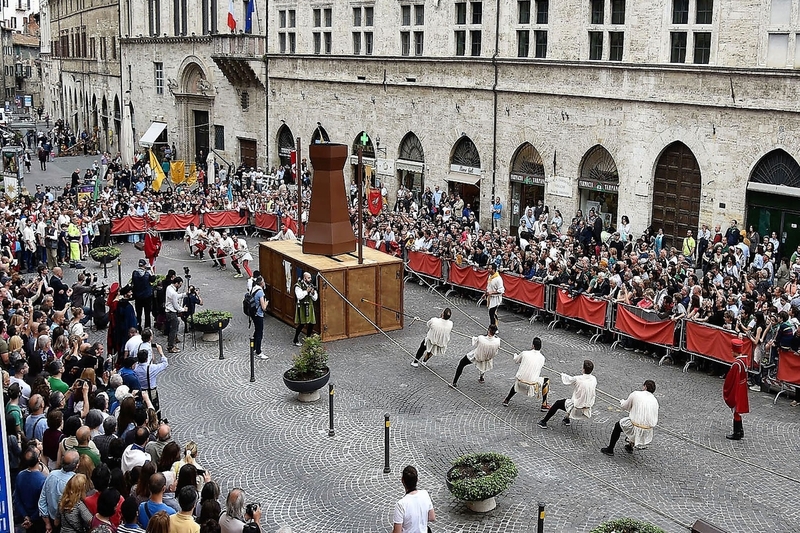 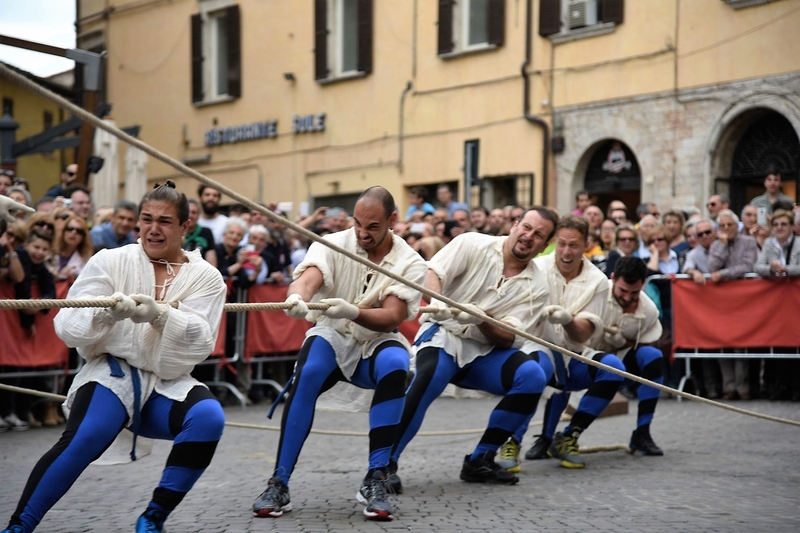 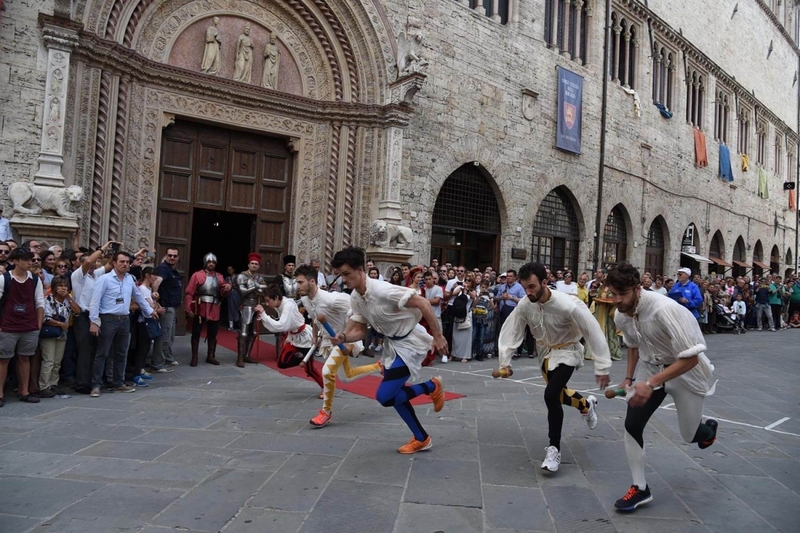 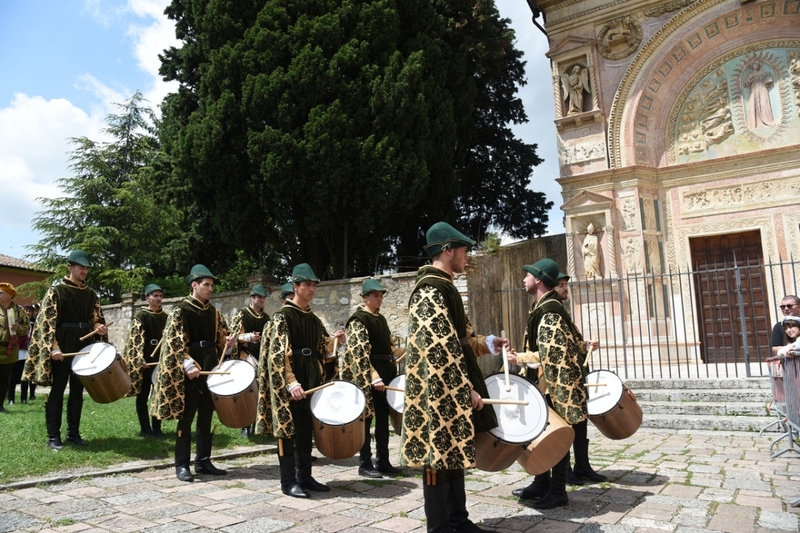 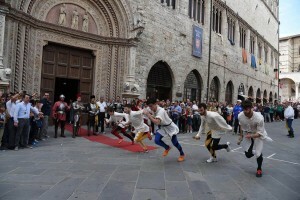 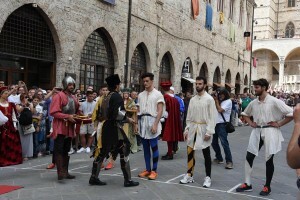 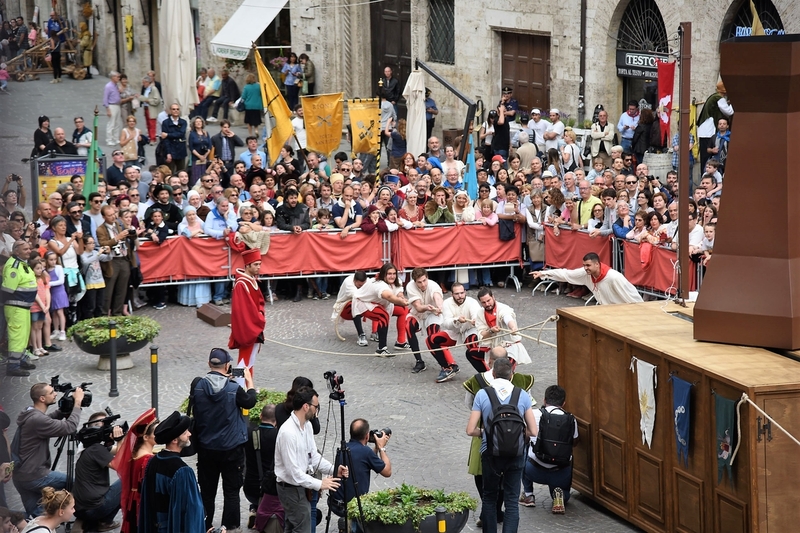 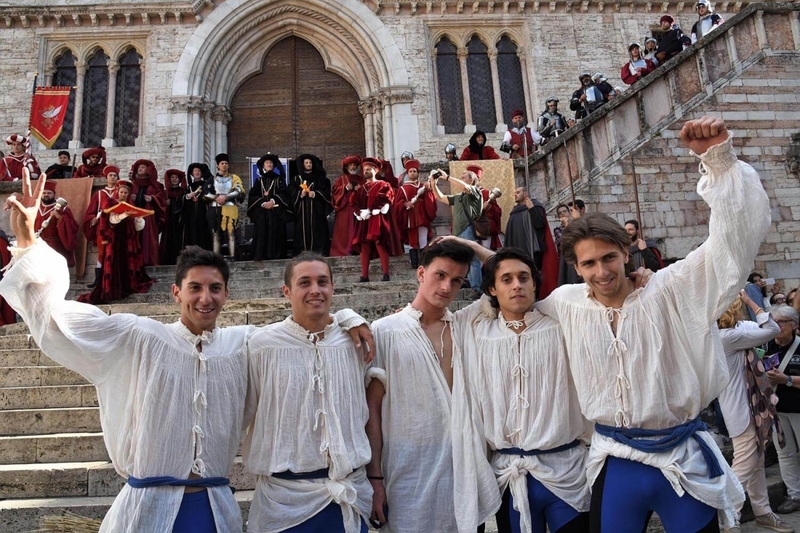 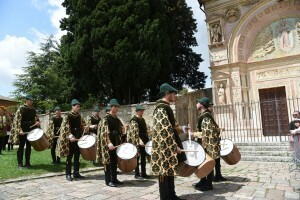 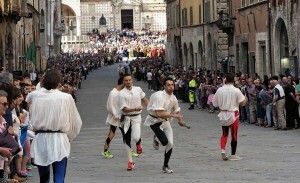 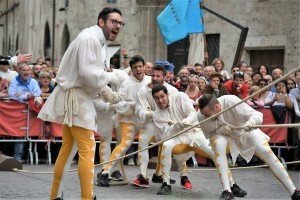 In “Perugia 1416” Javelin Toss the athletes have to combine precision, physical strength and visual calculation, in order to achieve a perfect and balanced toss which flips a ring while directed to the target. 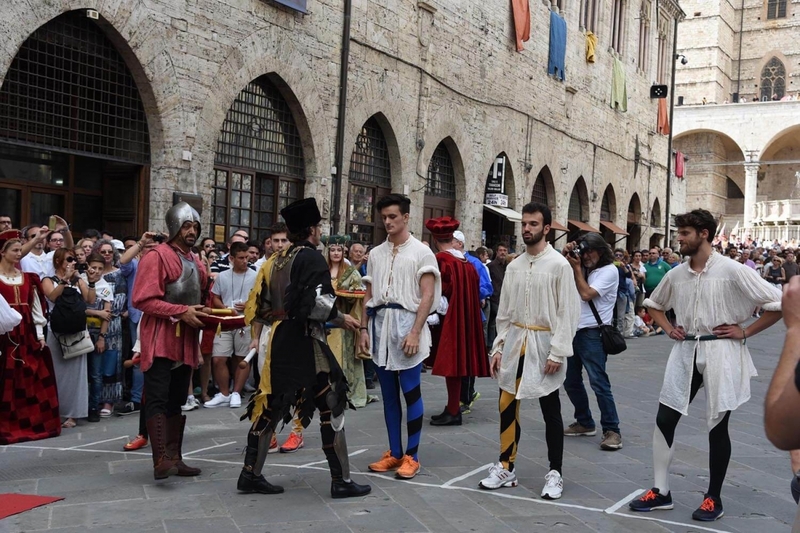 The “Move to the Rook” is an original, engaging and dogged competition, thought in respect of the social and athletic norms, characterized by a “machine” – the rook – decorated with the Districts symbols, which is moved to determine the victory of one of the two facing teams. In this particular game two Districts face each other in a physical strength challenge, where one of the team is eliminated through tactic, muscular vigor and cooperation. 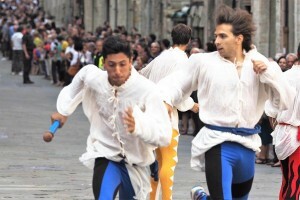 The “Drape race” it is a speed and stamina competition. 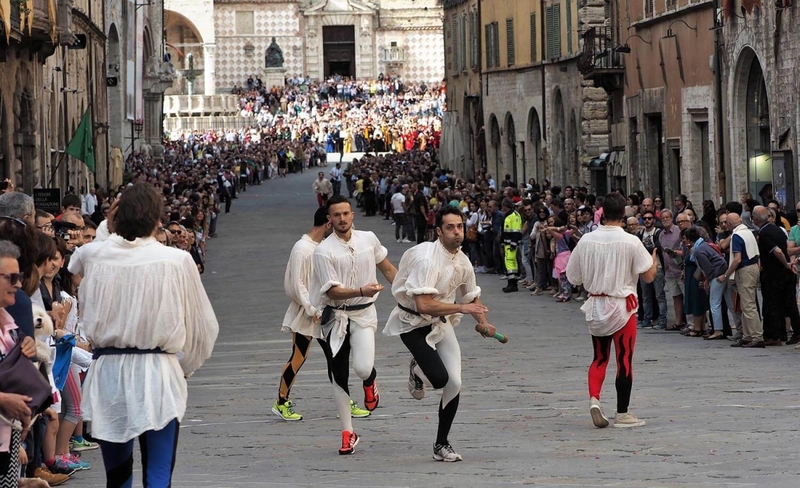 The aim is to deliver, before the others, a baton to the arriving point, the same of the start, scoring the highest number of points possible. 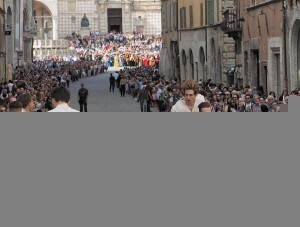 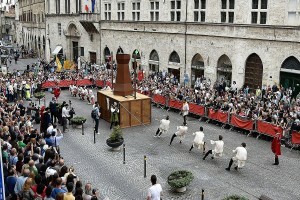 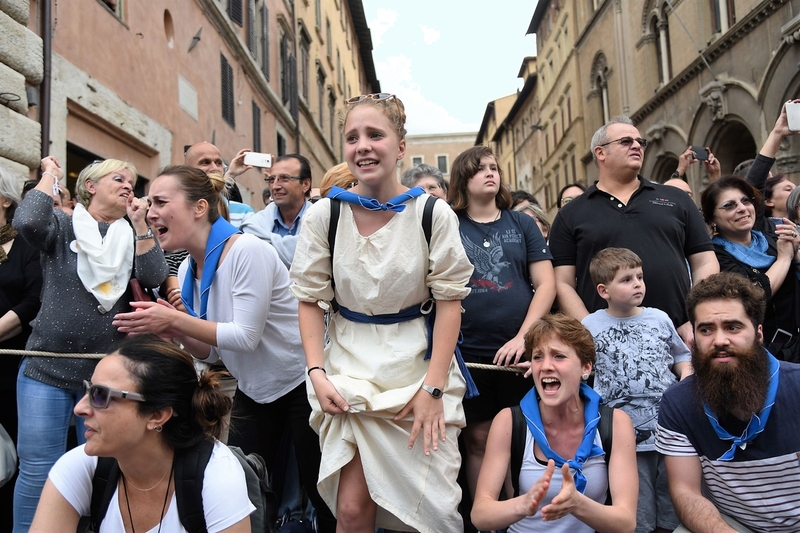 The race takes place in Corso Vannucci along a fixed course with four changes for each team, one each tuor, for a total of five tours.